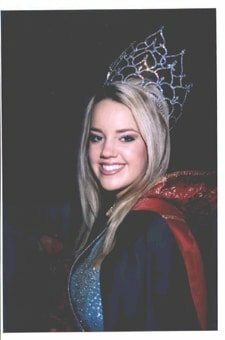 Autumn Lynne Burkett of Converse was crowned the 2004 Miss Zwolle Tamale Fiesta Queen at the annual pageant that was held September 18th at Zwolle High School. Autumn is the 17 year old daughter of Lynn & Kim Burkett of Converse. Autumn’s siblings are Adam, who is in the 6th grade at Converse High school and Ashley Carter who is married to Dusty Carter of Converse. Her grandparents are Lovell & Carolyn Knowles of Belmont and Will and Annie Jane Burkett of Converse. Some of Autumn’s other activities include participating in the Sabine Parish Relay for Life and the March of Dimes Walk. In her spare time Autumn enjoys scrap booking, shopping, fishing and spending time with her family and friends. Autumn is a member of Fellowship Baptist Church where she serves as an AWANA leader. Her future plans are to attend college and obtain a career in the medical field. Autumn would like to thank her Aunt Carla Burkett for sponsoring her in the pageant and also everyone that helped her prepare for that special night. 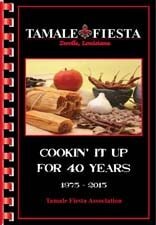 It is a night that will never be forgotten, and Autumn is truly honored to be able to represent the town of Zwolle as their 29th Annual Miss Zwolle Tamale Fiesta Queen.